Some developers never run out of ideas when it comes to publishing casual games to waste our time. 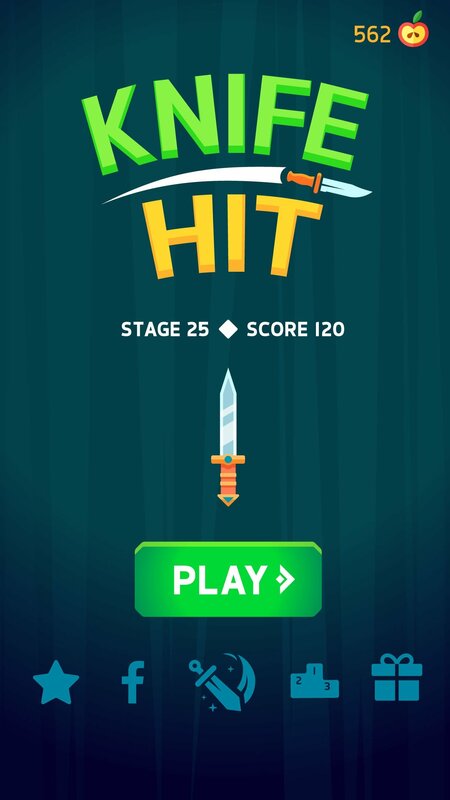 Ketchapp has released Knife Hit for iPhone, a game about throwing knives that put our speed and anticipation capacity to the test. 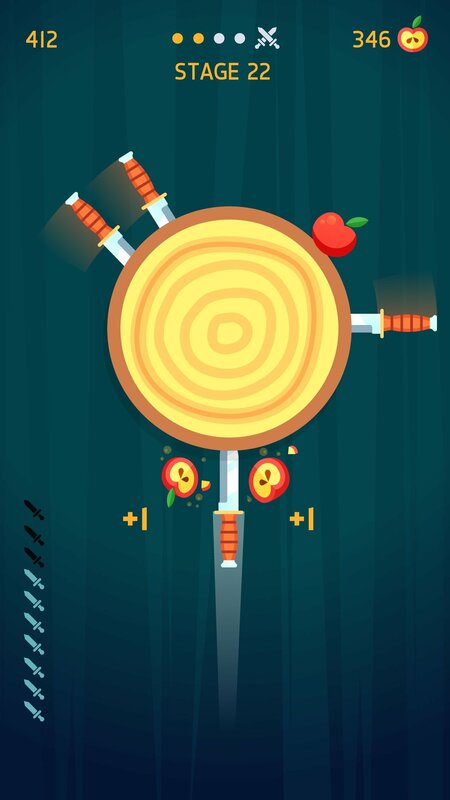 We'll face up to a tree trunk that is constantly rotating and that we're going to have to hit with as many knives as we need to cut it and be able to get onto the next level. However, the trunk spins so that each knife we stick into it also spins. That means that each time we throw a new one, we'll have to be careful not to hit the knife that's already in the tree. Not the sharpest knives in the world, but they still cut. 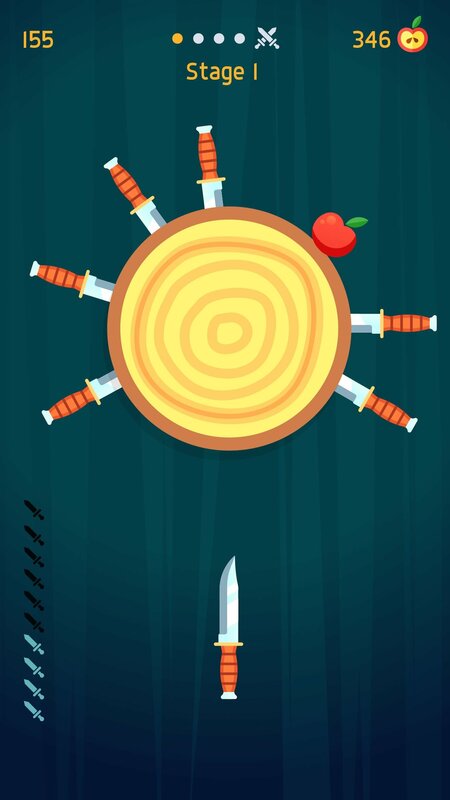 But this time around, we're not only going to break trunks and move onto new levels... we can also chop up the apples that appear now and again on the trunk which will give as extra points for our score and help us to unlock new knives with different designs and greater power of destruction. However, to be able to get hold of these new blades, we'll have to defeat the final bosses that appear every five screens. Knife-throwing game based on our anticipation and reflexes. Dozens of levels to be overcome. 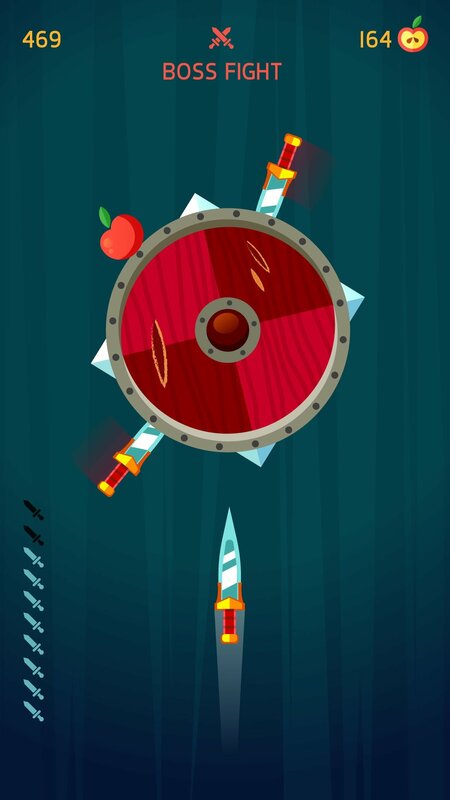 Defeat the bosses that appear every five screens. Unlock over 30 different knives available. 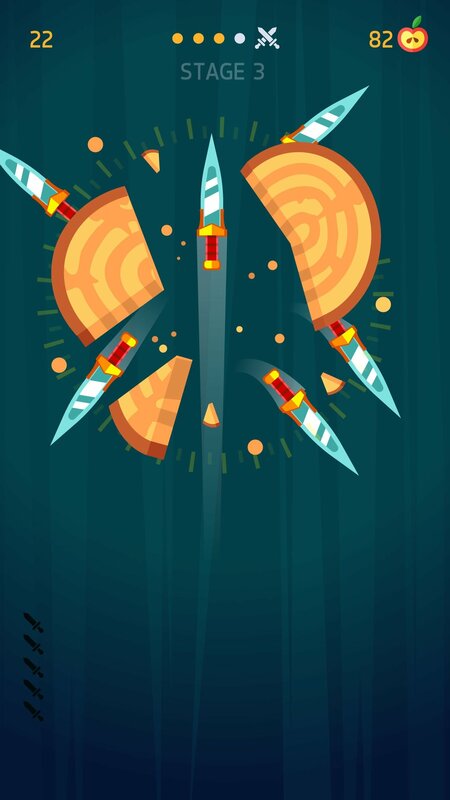 A great game to waste your spare time and put your reflexes to the test throwing knives at tree trunks, whilst you're at it. GAMEE - Play with friends!